Victor’s story is about love. His love of audacious challenges, love for our natural world, and above all, love for his father. 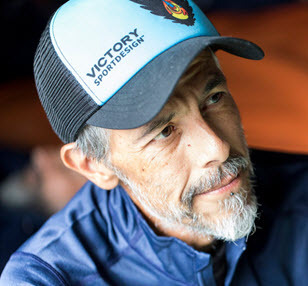 Victor Ballesteros is the CEO of Victory Sportdesign and is part of the Animal Run Board of Directors. He is also an incredible runner and one of the nicest individuals you should meet. In late 2018, Victor had the opportunity to finish one of the toughest (and most beautiful) foot races on the planet, Italy’s Tor De Geants. Early in the year, his father’s health took a turn for the worse and Victor found himself struggling through this difficult time. Victor wrote about his epic adventure, weaving the twin struggle of traversing 20 mountains while holding the spirit of his ailing father. No need to be a runner or weekend warrior to enjoy this touching gem.